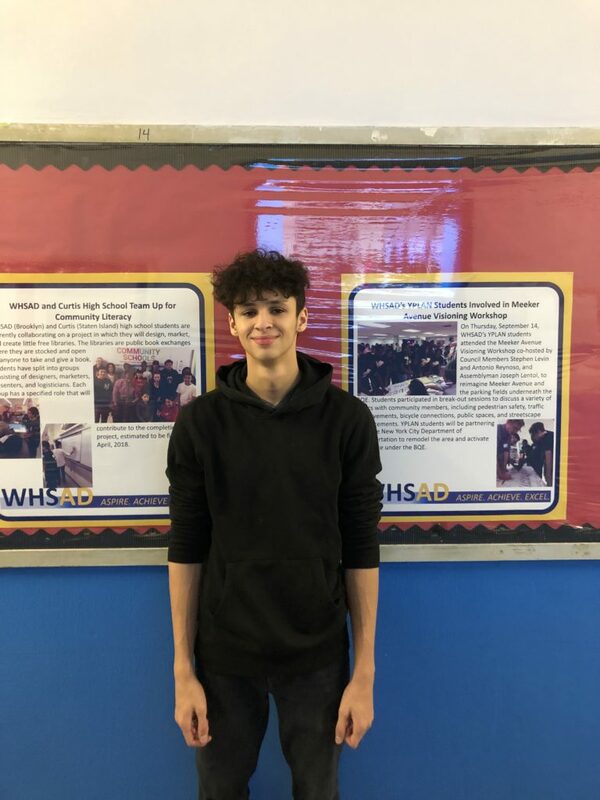 Student correspondent, Mayra Gomez, interviewed Justin on his thoughts regarding his nomination, his years at WHSAD, and advice to those seeking to have successful high school experiences. Justin Lopez, currently a junior at WHSAD, was extremely shocked to be told he was student of the month for February. However, he thinks he has received this recognition due to his growth throughout high school. Justin says he’s great when it comes to completing work last minute, but it is also one of his biggest flaws in school and in his personal life. For him one of the worst things to do is procrastinating since it can only lead to failing. He thinks everyone should have a motivation that can always lead to completing work in a timely manner. Being his third year in the school, he thinks this school brings great opportunities and outcomes for anyone’s social life and academics. For the school, he would change the fact that there should be more bonding with students and teachers. Although some teachers may seem intimidating, he advises that you get confident and always speak your mind with all of your knowledge.